Cross-posted from LiteratureGeek.com. An update on a project supported by an EMiC Ph.D. Stipend. My “Infinite Ulysses” project falls more on the “digital editions” than the “digital editing” side of textual scholarship; these activities of coding, designing, and modeling how we interact with (read, teach, study) scholarly editions are usefully encompassed by Bethany Nowviskie’s understanding of edition “interfacing”. Textual scholarship has always intertwined theory and practice, and over the last century, it’s become more and more common for both theory and practice to be accepted as critical activities. Arguments about which document (or eclectic patchwork of documents) best represents the ideal of a text, for example, were practically realized through editions of specific texts. As part of this theory through practice, design experiments are also a traditional part of textual scholarship, as with the typographic and spatial innovations of scholarly editor Teena Rochfort-Smith’s 1883 Four-Text ‘Hamlet’ in Parallel Columns. 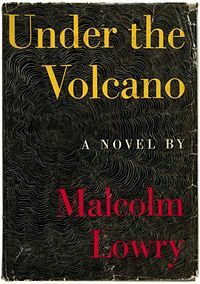 The work of McKerrow and the earlier twentieth-century New Bibliographers brought a focus to the book as an artifact that could be objectively described and situated in a history of materials and printing practices, which led to theorists such as McKenzie and McGann’s attention to the social life of the book—its publication and reception—as part of an edition’s purview. This cataloging and description eventually led to the bibliographic and especially iconic (visual, illustrative) elements of the book being set on the same level of interpretive resonance as a book’s linguistic content by scholars such as McGann, Tinkle, and Bornstein. Concurrently, Randall McLeod argued that the developing economic and technological feasibility of print facsimile editions placed a more unavoidable responsibility on editors to link their critical decisions to visual proof. 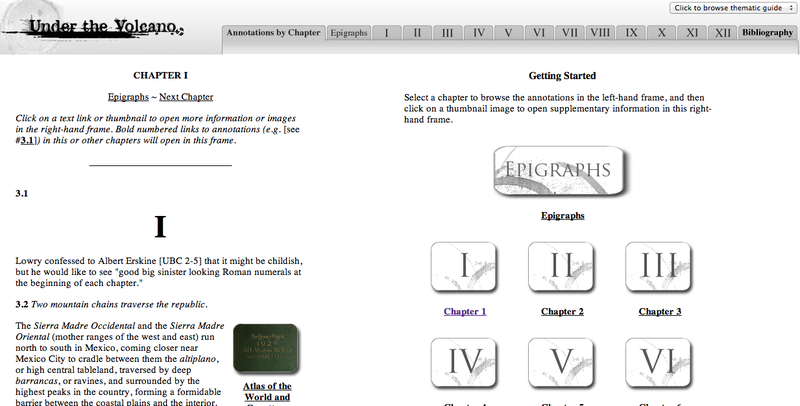 Out of the bias of my web design background, my interest is in seeing not only the visual design of the texts we study, but the visual design of their meta-texts (editions) as critical—asking how the interfaces that impart our digital editing work can be as critically intertwined with that editing as Blake’s text and images were interrelated. When is a digital object itself an argument? Mark Sample has asked, “When does anything—service, teaching, editing, mentoring, coding—become scholarship? My answer is simply this: a creative or intellectual act becomes scholarship when it is public and circulates in a community of peers that evaluates and builds upon it”. It isn’t whether something is written, or can be described linguistically, that determines whether critical thought went into it and scholarly utility comes out of it: it’s the appropriateness of the form to the argument, and the availability of that argument to discussion and evaluation in the scholarly community. Galey’s experiments with animating textual variants, layering scans of marginalia from different copies of the same book into a single space, and other approaches embodied as code libraries are themselves critical arguments: “Just as an edition of a book can be a means of reifying a theory about how books should be edited, so can the creation of an experimental digital prototype be understood as conveying an argument about designing interfaces” (Galey, Alan and Stan Ruecker. “How a Prototype Argues.” Literary and Linguistic Computing 25.4 (2010): 405-424.). These arguments made by digital prototypes and other code and design work, importantly, are most often arguments about meta-textual-questions such as how we read and research, and how interfaces aid and shape our readings and interpretations; such arguments are actually performed by the digital object itself, while more text-centric arguments—for example, what Galey discovered about how the vagaries of early modern reading would have influenced the reception of, for example, a Middleton play—can also be made, but often need to be drawn out from the tool and written up in some form, rather than just assumed as obvious from the tool itself. To sign up for a notification when the “Infinite Ulysses” site is ready for beta-testing, please visit the form here. Amanda Visconti is an EMiC Doctoral Fellow; Dr. Dean Irvine is her research supervisor and Dr. Matthew Kirschenbaum is her dissertation advisor. Amanda is a Literature Ph.D. candidate at the University of Maryland and also works as a graduate assistant at a digital humanities center, the Maryland Institute for Technology in the Humanities (MITH). She blogs regularly about the digital humanities, her non-traditional digital dissertation, and digital Joyce at LiteratureGeek.com, where this post previously appeared. This post is written by Chris Ackerley of the University of Otago. When I came to the University of Otago (New Zealand) one of the first things I saw in the student ghetto was a run-down dwelling apparently held together by a large placard: “The Farolito”. This was a good sign. It transpired that one of my colleagues was also a fan of the novel, and had introduced UTV into the undergraduate syllabus (back in those days when undergrads read), leading to booming sales at the campus pub; we must have been one of the first places, outside Canada, to teach this text. And when my first sabbatical rolled around, not having a clue about what ‘research’ entailed (we were hired to teach in those days), I decided that Mexico would be a good place to visit (it was), and that UTV was a good excuse to go there (indeed). Fortunately, I went via Vancouver, where I visited the Lowry Special Collection at UBC, met Anne Yandle who immediately adopted me as one of her many Lowry proteges, and Bill New, who said that if I found anything interesting in Cuernavaca then how about sending it to Canadian Literature. And UBC Press held out a tantalising possibility of publication, if I could meet their standards…. More by instinct than intellect, I began to develop an annotative sense, one generated partly out of a love of general knowledge in turn provoked by stamp collecting (“philately will get you everywhere”), but equally out of the influential study by E.D. Hirsch, Jr., Validity in Interpretation (1967), which remains my bible to this day. Hirsch offers as his working assumption the hermeneutic principle that “each interpretive problem requires its own distinct context of relevant knowledge” (vii); this constitutes equally the foundation of my annotative practice, an axiom of validity in annotation. The pragmatic problem, then, is to determine in both principle and practice how an “interpretive problem” and its “distinct context of relevant knowledge” might be identified. Broadly, this entails accepting Hirsch’s definition of the goal of valid interpretation as consensus, the winning of firmly grounded agreement that one set of conclusions is more probable than others (ix). My additional argument would be that this scientific discipline leads to readings that are richer than those generated by the relativism and polysemy of many contemporary approaches, precisely because of the constraints exerted by the dynamics of text and context. An annotation might assume as the ‘interpretive problem’ the image of ‘golden lads’, and postulate as constituting its distinct context of relevant knowledge such matters as: (i) the contrast of youth and age, (ii) the exploitation of children as chimney-sweeps, (iii) the pun on ‘come to dust’, (iv) the contrast of gold, that braves time, with dust, the wages of mortality, (v) the chill of closure created by the rhyme of ‘must’ and ‘dust’, (vi) the echo of Genesis 3.19: ‘for dust thou art, and unto dust shalt thou return’ and (vii) perhaps, the song as recycled in Virginia Woolf’s Mrs Dalloway and Beckett’s Happy Days. These details could be woven into an articulate cloak that accentuates the poignant contrast between rhythmical lightness and thematic gravitas. Such an annotation would be valid, but the interpretation ventured might be modified by new information (that is, by changes to the context of relevant knowledge). In The Pound Era (122), Hugh Kenner says ‘golden’ is a magical word that so irradiates the song that we barely consider how Shakespeare may have found it: “Yet a good guess at how he found it is feasible, for in the mid 20th century a visitor to Shakespeare’s Warwickshire met a countryman blowing the grey head off a dandelion: ‘We call these golden boys chimney-sweepers when they go to seed.’” And suddenly all is clear: dandelions that wilt in the heat of the sun and cannot endure the winter’s rages, now as an image both startlingly new yet reassuringly familiar: death as the blowing of a common flower. What is striking about this image (in my direct experience, and that of most of my students on whom I have tested it), is that something that earlier was not perceived (indeed, was earlier not perceptible) has been somehow precipitated into consciousness, so that the ‘meaning’ seems to have altered; an entity not ‘there’ on one reading is revealed as a presence, a given, on another, though the lines are unchanged. There would be general consensus, I imagine, that an interpretation that accounts for (that is, admits into the distinct context of relevant knowledge) the dandelion is likely to be better (that is, of greater explanatory power) than one that does not. My hope as an annotator is to enhance this kind of awareness. The arena of annotation then, is broadly the no-man’s land between text and context. 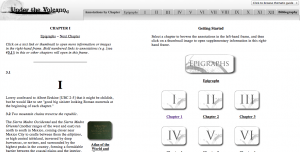 Annotation partakes of the editing process, in that its first principle must be the best possible text; and it partakes of critical evaluation, by determining the appropriate weighting of the factors that should or should not be taken into consideration. This is an impossible process. I recall vividly a moment that made me want to throw Under the Volcano into the barranca. I had not considered that there was anything to say about the moment in Chapter IV when Yvonne, trying to get Geoffrey out of Mexico, thinks about owning a farm with “cows and pigs and chickens”; but, much later, looking at Eugene O’Neill’s ‘Bound East for Cardiff’ I read about Yank, a dying sailor, who dreams of dry land, and of owning a farm of his own, with [yes] “cows and pigs and chickens”. Now, a rule of thumb by which I work in determining the presence of allusion is: one echo, so what; two echoes, perhaps coincidence; three, almost certainly evidence of intention. The O’Neill passage had about a dozen points of clear contact with the Lowry detail, but nobody (I was simply lucky) would recognise it as an allusion; and this brought about an existential crisis in my life as an annotator: for if this is an allusion, then what is not? I found consolation in two unlikely places. Firstly, Joyce’s A Portrait of the Artist, its description of the condition of the soul as approaching ever nearer but never reaching the Creator; then, this sentiment as transfigured at the end of Beckett’s Molloy, where Moran thinks of his bees, and the mystery of their dance (in 1948 a code uncracked), with rapture, with exaltation: “here is something I can study all my life, and never understand.” And there was another gradual intimation: a sense of something that Lowry shares with Borges, of the virtual presence of a Universal Library, Platonic in its nature, in which everything written by anyone, anywhere, is filed, with different degrees of accessibility and retrievability (hence Lowry’s notorious “borrowing”). I once thought, in the arrogance of the days when I knew the answers (now, I am increasingly [or should that be decreasingly??] uncertain of the questions), that this was a mere conceit; it now strikes me increasingly as a profound, if not truth, then at least persuasive hypothesis. My annotations to Vik Doyen’s editing of Swinging the Maelstrom will not be definitive; they cannot be so. Yet both Vik and I would regard them as an intrinsic part of the process, as something occupying that middle ground between editing and interpretation, invoking the one to guide the other. 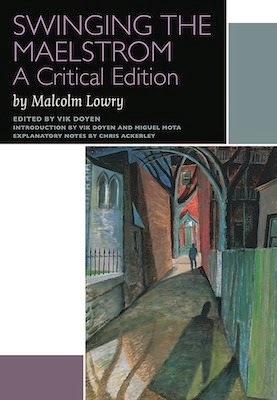 As Vik has intimated, our work on this text goes back a long way: to the “Western Canadian Deans’ Short Course: The Malcolm Lowry Collection”, that he and I (quite frankly, more him than me, just like this book) taught together at UBC in 1987, where a virtual form of this edition was “taught” as a possible project; to the 1997 Lowry Symposium in Toronto, where the pledge to publish was renewed; to many pleasant hours in Leuven in 1998 with Vik (whose house was burgled the night after I left), and in Miami with Pat McCarthy, working over the text and annotations together; then to the 2009 symposium in Vancouver, which I attended with the sole ambition of eating blueberries in the heat o’ the sun, but came back as part of the EMiC team, committed to six further years of hard labour; and finally to working with the current team of international scholars on this project, and on the two to follow (I might add, parenthetically, that the 2,000 and more annotations to the forthcoming edition of Lowry’s In Ballast to the White Sea, occupying some 200 sensibly-spaced printed pages, represent the toughest challenge of this kind that I have ever faced; and one that would have been impossible—how on earth did I do those early volumes?—without the search engines of the Internet, itself perhaps the palpable manifestation in quotidian life of the Universal Library). T.S. Eliot famously likened the work of the individual writer or critic to that of one of the countless polyps that, working individually, yet make up collectively the greater reef; all I can add is that it has been a masochistic pleasure to have been one of these, and to see that a work that has been, one way or another, “in progress” for about twenty-six years now in the light of day.